The old ferry that provided all transportation across the river until the 1960’s is still located at Lyons Ferry Park. 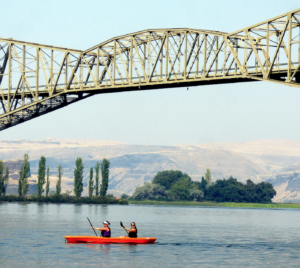 It was replaced by the Lyons Ferry Bridge that is still in use today and used to function as the Sunset Highway (now Interstate 90) Bridge at Vantage. Located across the bridge from the Marina, Lyons Ferry State Park is open seasonally for day use activities including boating, fishing, swimming, picnicking, and hiking. The park requires a Discover Pass which is $10.00 for a day pass, or $30.00 for an annual pass. 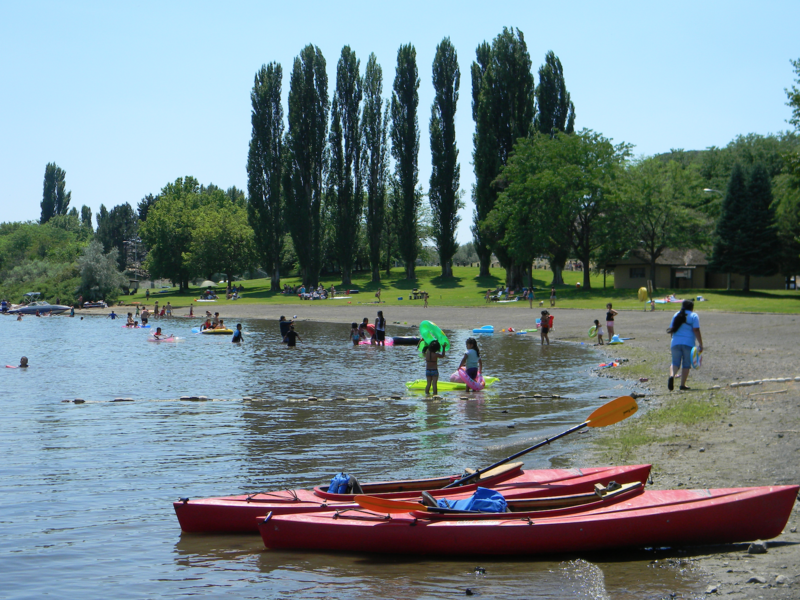 The boat launch is $7.00 (in addition to the Discover Pass fee) or a Natural Investment Pass can be purchased for $80.00 and is an annual boat launch and trailer dump pass. 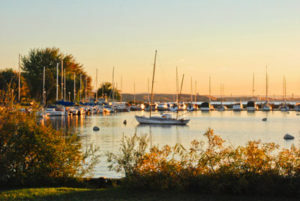 Moorage fees are 70 cents per foot, with a minimum of $12.00. Camping is not available at this time. Palouse Falls, which was formed as part of the ancient Missoula Floods that scoured this region, is located just a few miles north of Lyons Ferry Park and Marin on Highway 261. 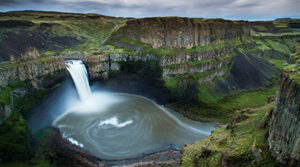 Governor Jay Inslee declared Palouse Falls Washington’s Official Waterfall in 2014. The historic Joso Bridge spans the river canyon and is still an active Union Pacific railroad bridge. Built between 1910 and 1914, this bridge shortened the route between Hinkle and Spokane significantly but at a high cost to the railroad – both monetarily and through the loss of life during construction. The bridge has 55 spans and is 3920 feet long and is the longest and highest bridge in the Union Pacific system. 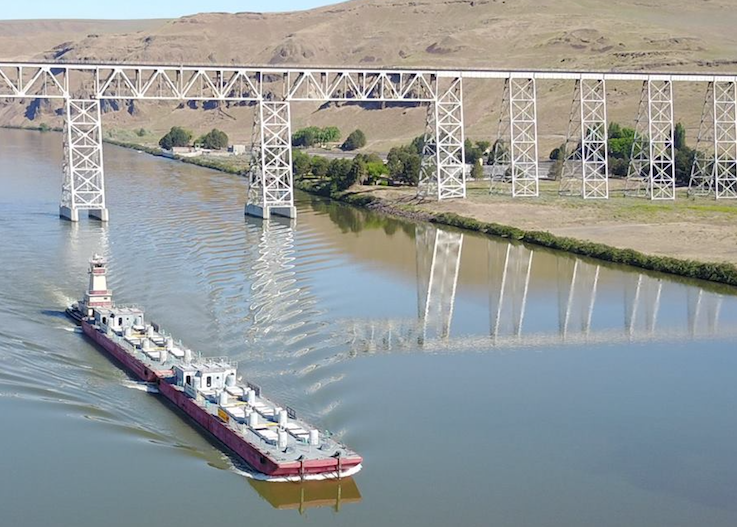 It also stands about 261 feet above the bottom of the Snake River, but once Lower Monument Dam was constructed in 1968 water submerged the lower portion of the bridge piers leaving only 194′ between the top of the bridge and the surface of the river.